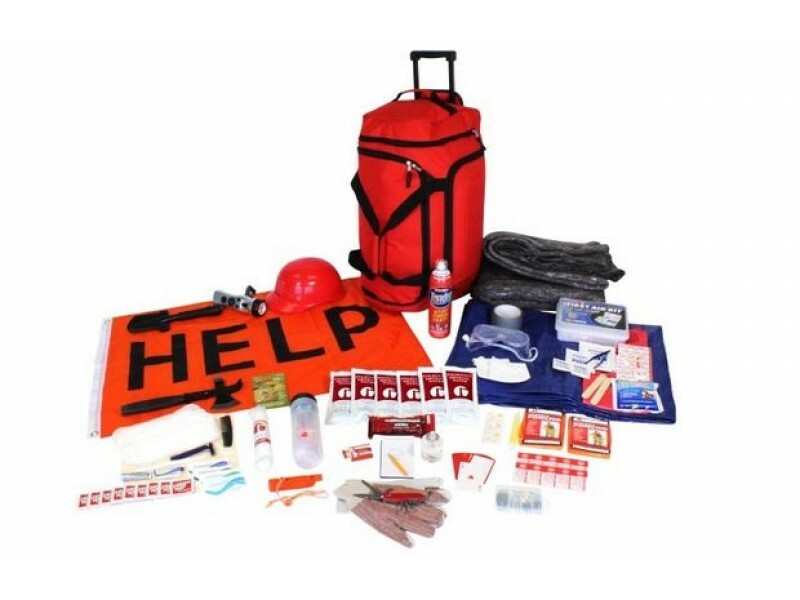 This kit is specially designed for quick and easy grab and go duffle bag. No need to gather your most common necessities as this package has it all in one place. This Kit Is Packed Securely in Our Red Duffle Bag with Wheels. 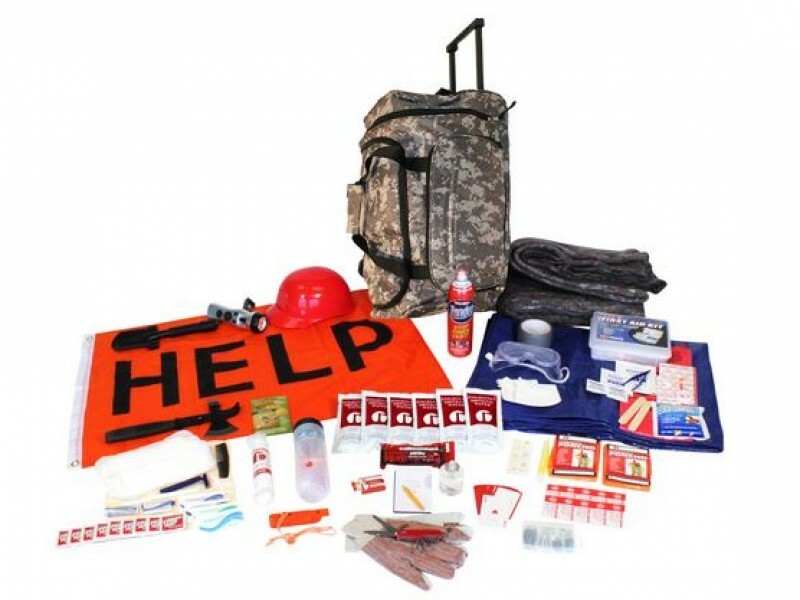 This Wildfire Emergency Kit was designed using advice from experts in the emergency preparedness industry. It follows guidelines given by government agencies and non-profit preparedness organizations. Perfect for a quick grab and go survival bag. It contains a huge variety of items for a wide variety of circumstances. Other: These items are useful for stress relief and activity in strenuous or challenging circumstances. Survival Playing Cards – 52 cards with valuable survival skills that will educate you in an emergency situation as well as keep you entertained. • Food and Wate: The food and water in this kit will comfortably provide you with adequate nutrition for one day without access to additional supplies. These products have a 5 year shelf life. • Light and Communications: In the event of a power outage caused by disaster you’ll have independent access to your own means of lighting and communication with the outside world. • Shelter and Warmth: These supplies will provide protection from outside weather forces. They will protect you from wind, sun, rain, and many other conditions you may encounter. 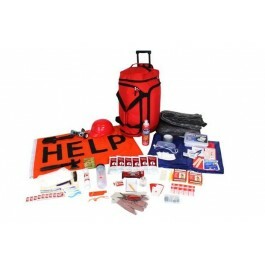 • Tools: These items are designed to be useful in disaster situations. They will be a valuable resource when you find yourself faced with navigation, transport, personal protection, or shelter troubles. • Hygiene and Sanitation: When in a disaster situation it is useful to have access to hygiene products. Staying clean can protect against infection, disease, and depression. • First Aid: These first aid items can assist with minor injuries and protect against serious health concerns in disaster circumstances. • Other: These items are useful for stress relief and activity in strenuous or challenging circumstances.